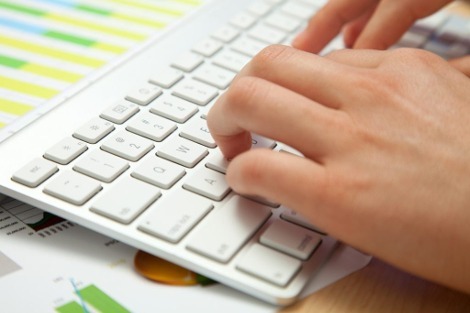 Tell your energy-savings story with custom reports from our utility data analysts. 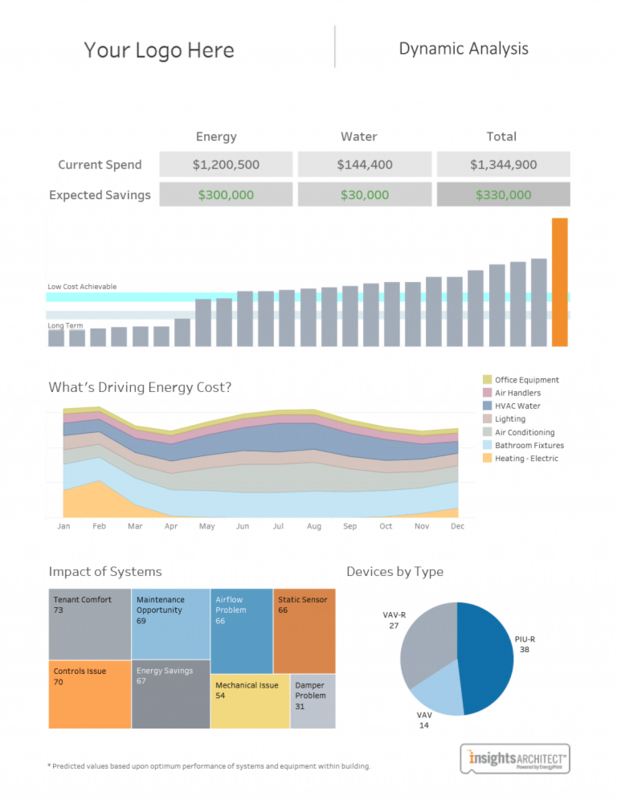 Turning raw data into easy-to-understand, polished reports is time consuming and complicated, but it’s an important tool for demonstrating the value of energy-savings investments. 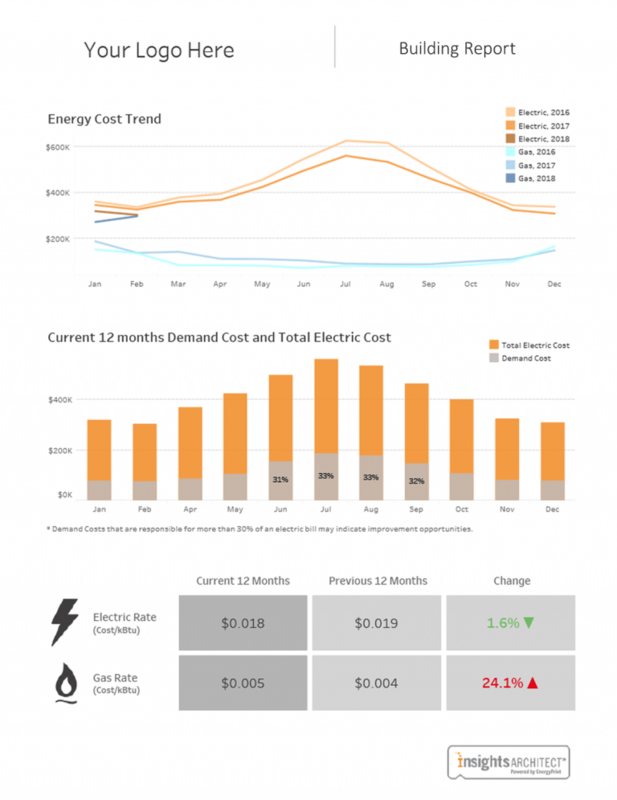 Visualizations, custom charts, multiple spreadsheets — you need an easier, less time-consuming way to do energy reporting and data analysis, so you can focus your time on finding solutions. 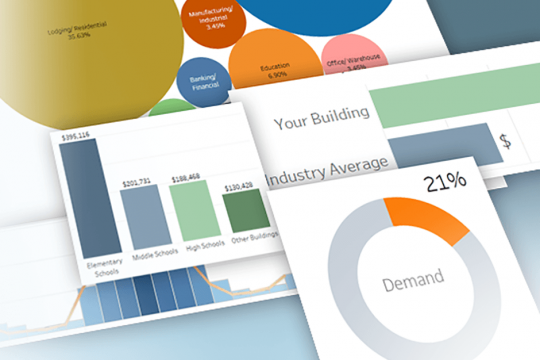 Enter Insights Architect™, EnergyPrint’s solution to help you uncover the hidden stories in a building’s utility data. With it, you will save hours of time by letting us do the data wrangling and report design for you. The result? Professional-looking, customized reports that easily communicate the insight you need to find energy efficiency opportunities and prove ROI. 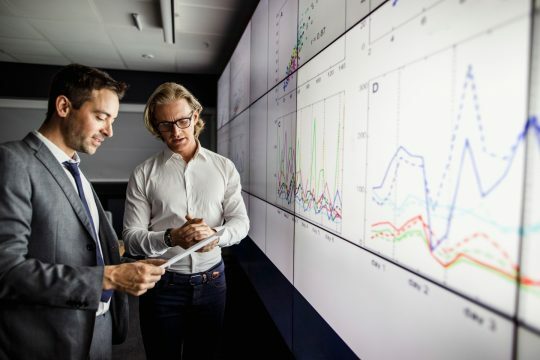 Put your data to work by creating professional, customized energy analytics reports that increase your credibility and lead to decisions that improve building value and performance. After consulting with our data professionals, we’ll build and iterate until you have a consistent, repeatable report that’s not dependent on internal resources to create. We collect, aggregate and standardize 24+ months of utility bill history directly from utility companies and continuously update your data monthly to keep buildings current and relevant. Next, we’ll validate and input your data — and benchmark it against our proprietary database of utility data for buildings across the U.S. and Canada. Present building data in new, compelling ways — from a simple chart to a full matrix — and tell your story visually for greater impact. You’ll receive a polished, visual report to help you communicate the value of the energy-efficient solutions you’re recommending. Create tailored reports at the building or portfolio level for business team meetings or board presentations. 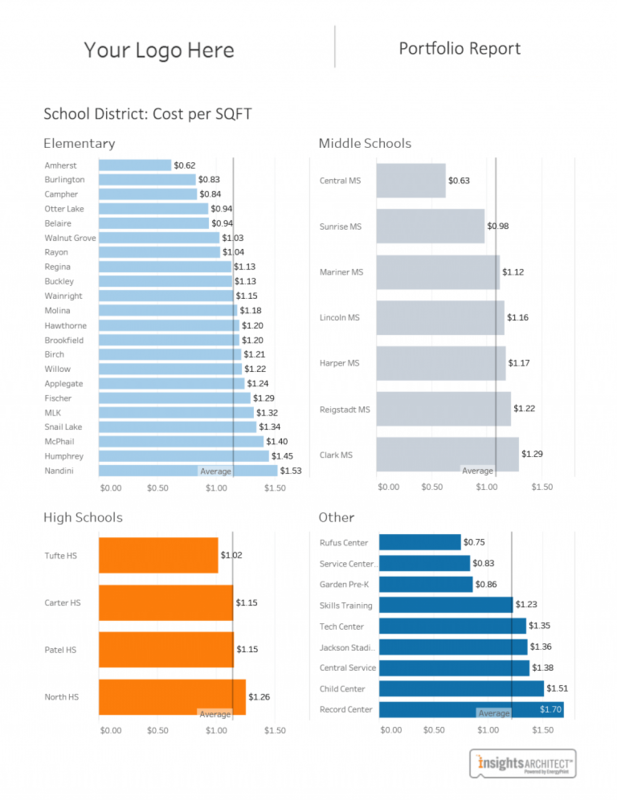 Or, use our customized analysis tool to conduct first-level analysis and escalate outliers for investigation. This report informs building managers and executives about opportunities to improve buildings that align with business goals. This report increases engagement with executives and key stakeholders by showcasing opportunities across portfolios. This hands-on approach allows you to drill into the metrics yourself and create a more customized view.